Hot soup on a cold night. Yum! 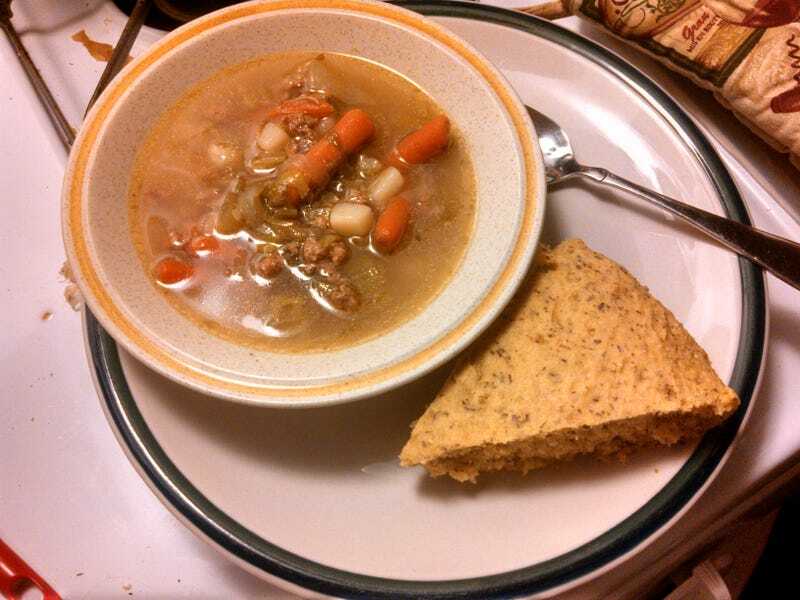 On tonight's menu: turkey vegetable soup and cornbread wedges! Hot and delicious.